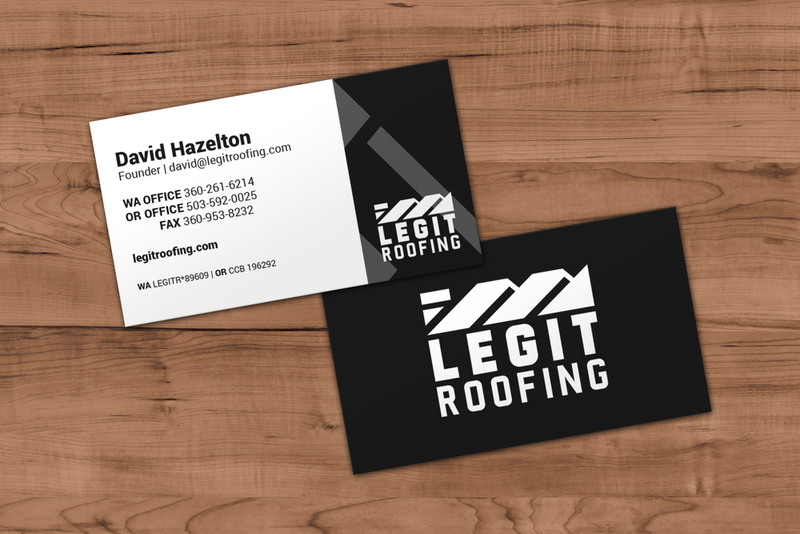 When I first sat down with the guys at Legit Roofing, it was to discuss the design for some updated vehicle graphics. But as we talked, I realized that they were frustrated with the makeshift branding they'd been using. As a rapidly growing roofing company in the Portland Metro Area, they'd come to realize that their image was lacking consistency. At the end of the consultation, I asked if I could send two proposals: One for vehicle graphics, the other for a comprehensive rebranding. 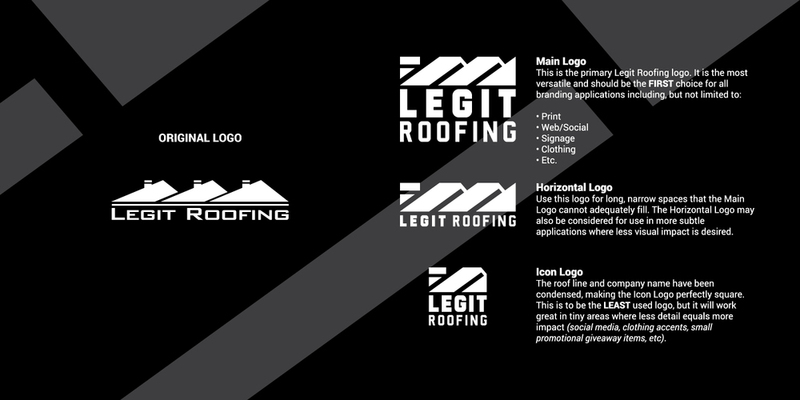 After some back and forth and an additional meeting, the Legit Roofing rebrand was underway. 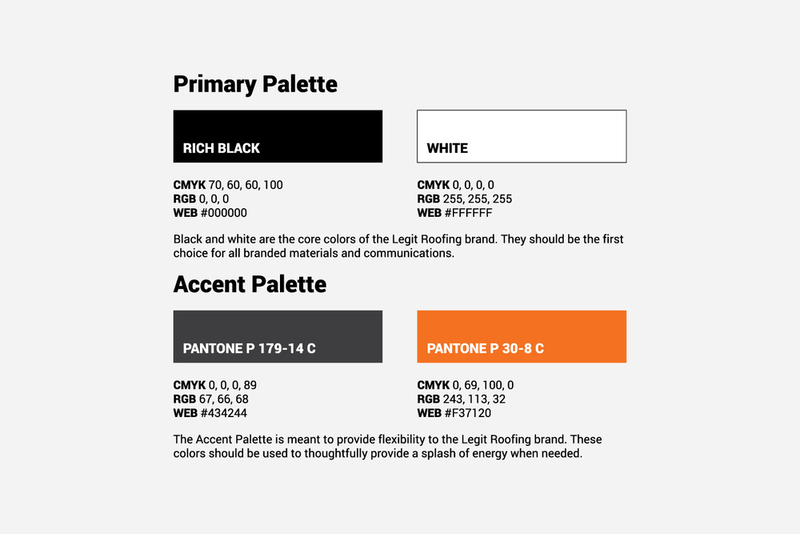 In addition to designing an updated logo system, I created a "dummy proof" brand standards document and a reference guide for applying the branding to business cards, clothing, vehicle graphics, signage and more.